It has been a while since I have read a book that I couldn't put down. 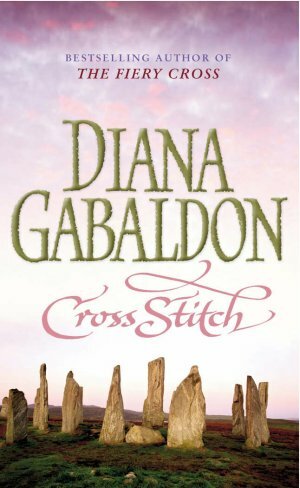 Diana Gabaldon's Cross Stitch was that book. It was on the book list from the book club that I was in last year. Otherwise, I never would have picked it up. 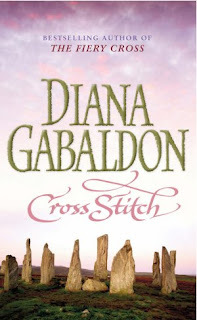 Then, I find out that under another edition, this book is also called Outlander, and is part of the Outlander series. I am torn. I could spend a good few months just reading these books. But my aim is to read widely, and to read classics. I have decided that I will be putting this book back in my book shelf to pick up in years to come, when I can dedicated months to reading the whole series. Historical romance, fantasy, chic lit ... whatever genre you choose, it was a page turner. I don't think that the writing is particularly fantastic, but the pace of the story is great, and it wasn't predictable. Also, the main character, Claire Randall, is not the perfect woman that so many romance novels contain. She is older, she is not particularly thin, but is very curvy. She is confident about her professional - she's a nurse. There are two lovers in this book - the first husband, and then the second husband after she's travelled back in time. I didn't really feel the relationship or the chemistry between Claire and her first husband. But the new husband is certainly the typical good looking, muscular and sensitive hero from typical romance novels. You can't help but fall in love with him yourself. I don't want to spoil too much with this one, and there aren't any issues to analyses. The book is a pure get-away. Don't think, just enjoy!